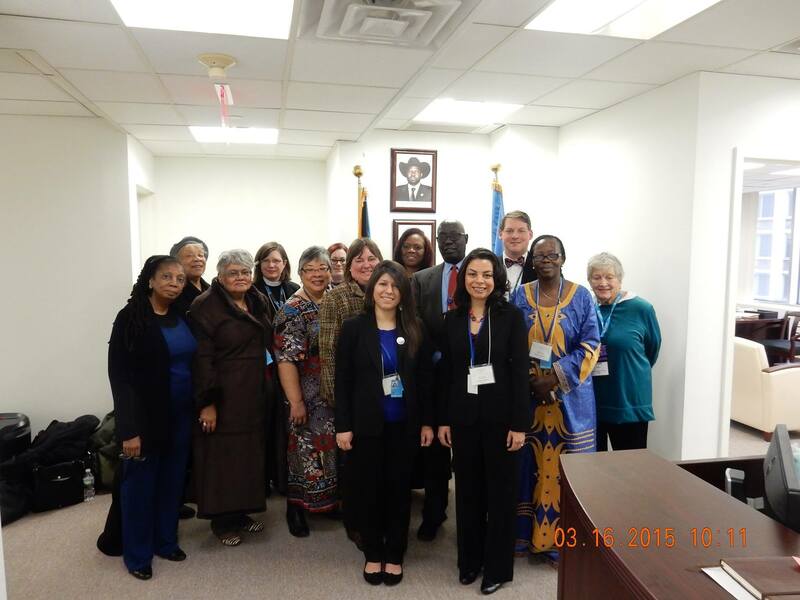 As one of the mission visits, Ecumenical Women met with Ambassador Deng, Permanent Representative of the Republic of South Sudan to the United Nations on the occasion of the United Nations Commission on the Status of Women (CSW). UN Women has recently begun #heforshe, a “Solidarity Movement in Gender Equality“. This movement is being heralded as a transition and solidification of the feminism movement as one whose supporters and benefactors are not only women. The effort affirms that “gender equality is not just a women’s issue” but call it a human right’s issue which demands support from all people. 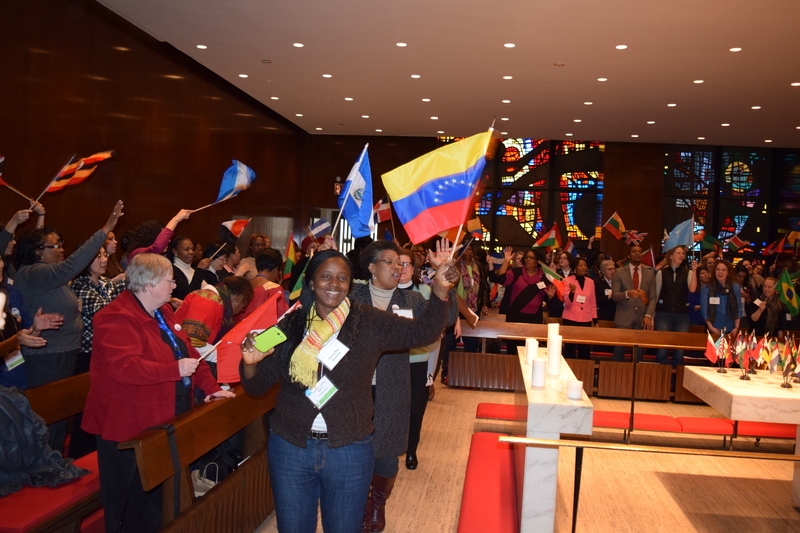 The EW-pictures of the CSW59 are now on flickr: https://www.flickr.com/photos/ecumenicalwomen/. UNCSW 59 – Join Ecumenical Women at these events! While we are at UNCSW 59 you can follow the ELCA Young Adult Cohort on Twitter at @elcayoungadults and by using #elcayacohort and #uncsw59. Learn more about the ELCA Young Adult Cohort. Monday, March 9 – 5:30-7:00 p.m.
Connect with young adults from around the country interested in talking about faith, justice and culture. You don’t have to have faith, you need to care about justice, and want to create inclusive culture. Food’s on us; drinks on you. Wednesday March 11 – 8:00-8:45 a.m.
Every morning during CSW, one member organization of Ecumenical Women prepares a morning worship referring to one of the 12 areas of concern of the Beijing platform for Action. The topic of the Lutheran worship will be the area of “Education and Training for Women”. On the basis of Proverbs 8:1-11, Lutheran Delegates from all over the world prepare this worship for all who are interested. Silent No More: How Can Faith Communities Address Sexism and GBV? Wednesday, March 11 – 6:00-7:30 p.m.
Every community is affected by gender-based violence (GBV), yet the topic is often avoided, silenced, or at least neglected. People of faith, faith leaders, communities, and institutions can break this silence in their own communities and in society through direct support, advocacy, and prevention. This meet-up is sponsored by the ELCA World Hunger, a ministry of the Evangelical Lutheran Church in America, and will feature small group dialogue, reflection, artistic expression, prayer and examples of the church’s work on GBV and gender justice. Light food will be provided. Thursday, March 12 – 12:30-2:00 p.m.
A series of portrayals of women from Palestine, Kenya and United States. The panel will focus on how women’s lives have evolved since the Beijing Platform for Action (BPFA) in 1995, and what role faith and faith based organizations have played in this evolution. The panel will also share examples of how churches and faith-based organizations have impacted the major issues affecting women (poverty, violence, access to land and financial resources, political participation, etc.) within the church, in the public space and at the policy level. Tuesday, March 10 – 4:30-6:00 p.m.
Women have been disproportionately affected by the Ebola virus. Nobel Peace laureate Leymah Gbowee’s foundation provides community-based accurate information, materials, and rapid mini grants to promote education and disease prevention. Join us for a discussion on local women’s initiatives in addressing the ongoing crisis.